Eric Lonergan is an economist, hedge fund manager and writer. According to his bio, he has written for Foreign Affairs, the Economist and the FT. He has contributed advice to governments. He first proposed the concept of transferring money to households by proactive monetary policy in 2002. 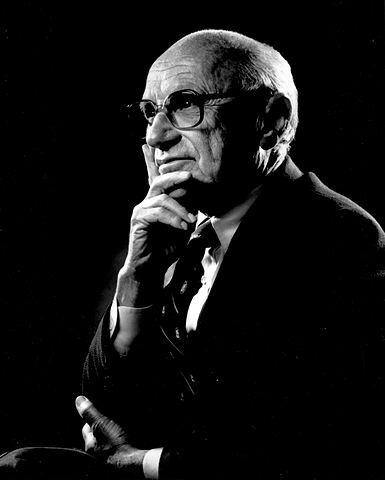 He is not the father of helicopter money (Milton Friedman is), but he is a significant messenger of helicopter money for the modern era. He is the foremost economist when it comes to defining Helicopter Money. The helicopter money (HM) debate that he started was based on the concept made famous by Milton Friedman. Whatever you think about Friedman, or about neoliberalism, or about monetarism in general, put that all aside. HM is different and better and more fair, and could at least slow the divide between rich and poor. Helicopter money has been called QE for the people but that is not quite right. I will list some important points I have found from reading Lonergan regarding this subject. Turns out, HM is the opposite of QE. It has been called QE for the people, but is quite superior to QE. It is important to understand that some in central banking appear to be in love with the concepts of negative interest rates and breaking the zero lower bound with nominal rates. If that is the case, then helicopter money, though a far better idea, will never be implemented. 1. I checked with Mr Lonergan prior to writing this article, and he has confirmed that HM does not involve the issuance of treasury bonds as collateral. Former Fed president Narayana Kocherlakota always speaks of treasury bonds being issued for the purpose of spreading HM. But according to Lonergan, Kocherlakota is simply not correct in his analysis of what HM is. This is not to say there are laws that need to be changed from nation to nation to make this process work. But the issuance of treasury bonds is just QE again, but for the people. Helicopter money is much more powerful than QE! It is an alternative to QE. Disclosure: I am not an investment counselor nor am I an attorney so my views are not to be considered investment advice.